CityPoint was built in 1967 as a 35-storey, 122 metres tall headquarters for British Petroleum (now BP), becoming the first building in the City of London area to exceed the height of St Paul’s Cathedral. It was refurbished in 2000, with additional floor space and the height increased to 127 metres. CityPoint is the seventh-tallest building in the City of London, after Heron Tower. Situated in the heart of the City of London, the prestigious CityPoint building offers 65,642sqm of prime lettable space to international businesses, upmarket retail and leisure outlets. For CityPoint to continue meeting the businesses constantly changing needs it turned to Modern Networks to overhaul its operational and infrastructure services. Top of the wish list was a complete refresh of the IT and communications infrastructure throughout the building. This would ensure CityPoint’s systems stay on the cutting edge of innovation and provide a rock solid foundation for a reinvigorated business continuity strategy. The main technical challenge was to remove any single point of failure from the building’s server infrastructure and telephony network. The task was to build a resilient, future-proofed IT architecture that fully supported tenants and visitors alike. Internet, telephony, desktops and cabling to wireless network. 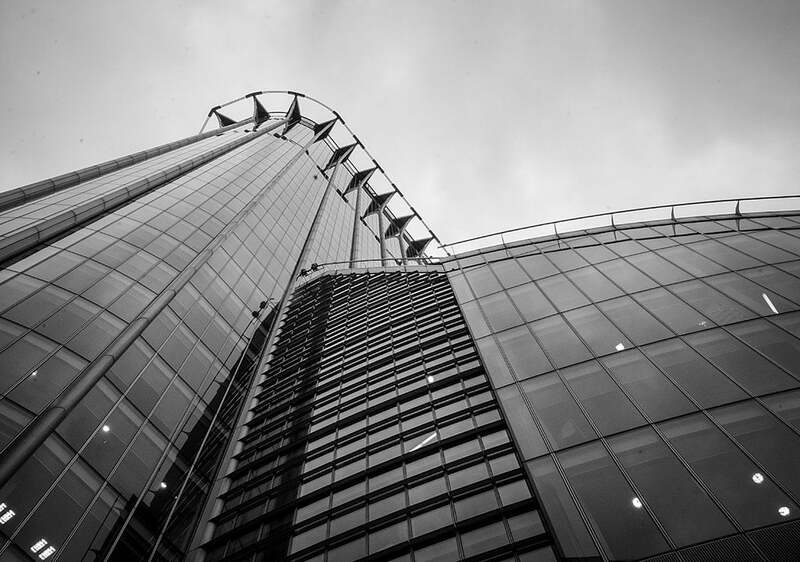 Alongside its front-of-house capabilities, such as Internet, telephony, desktops and wireless network, CityPoint also needed full back-office systems in place. Making the task a little more complex, Modern Networks had to deal with a variety of different IT solutions, hundreds of devices and multiple suppliers. Starting with the technology, Modern Networks reengineered the IT infrastructure – virtualising the building’s server infrastructure to deliver multiple points of failure and vastly increased resilience and security. A new IP-based telephony network ensured fast, reliable Internet connectivity around the building. Modern Networks also dealt with all third party suppliers, installation, project management, invoicing, and ongoing service management and support. A single coherent design, deployment and managed service. Modern Networks transformed the building’s ICT infrastructure, making it far more resilient and secure. In fact, CityPoint was the first managed property in Europe to receive ISO 22301 accreditation for Business Continuity Management Systems. As well as providing a first class IT and communications infrastructure, Modern Networks greatly reduced administrative complexity. We removed the need for multiple ICT suppliers, reduced hundreds of telephone bills to a single invoice, and introduced a UK Service Desk for all first line support. Since the original IT and telephony refresh, Modern Networks has been heavily involved in the refurbishment of CityPoint’s reception, providing high tech audio and visual systems. Working with the architects, we have helped introduce a new touchscreen concierge system, secure wireless network for tenants, guests and visitors, and worked to on-board the building management systems. Download a copy of our case study to learn more.